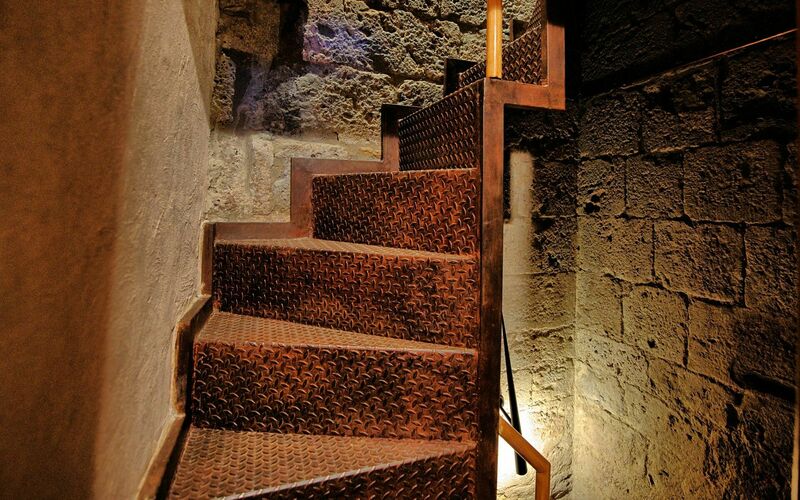 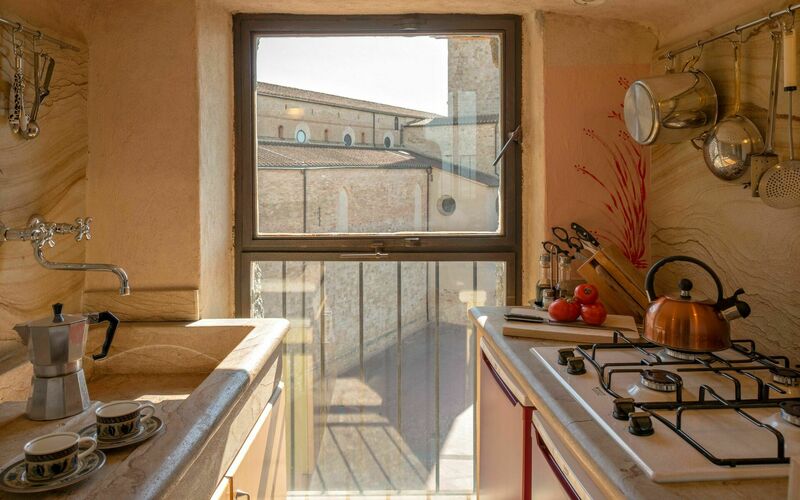 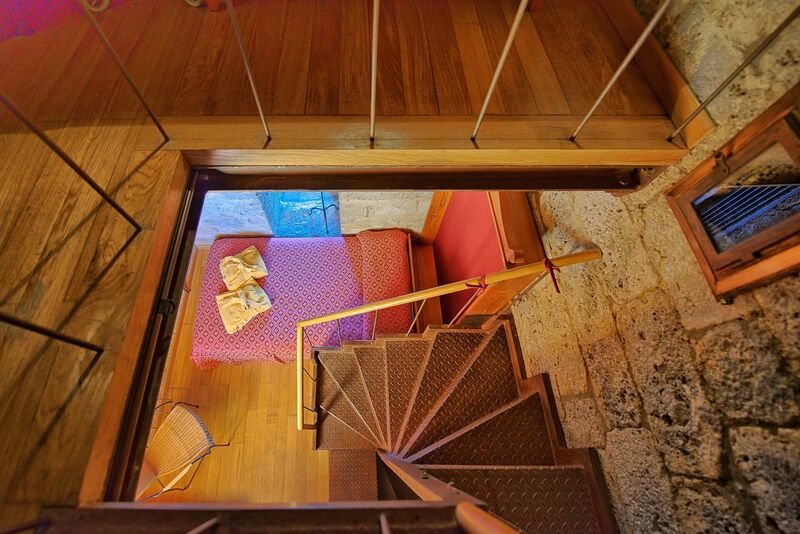 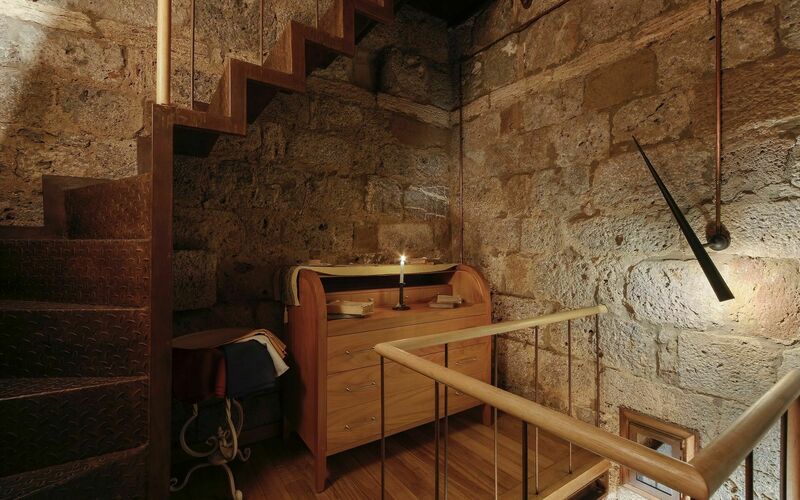 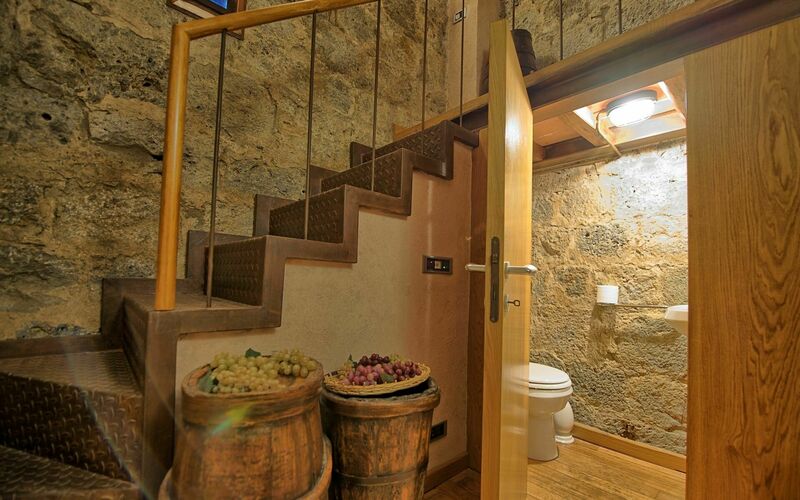 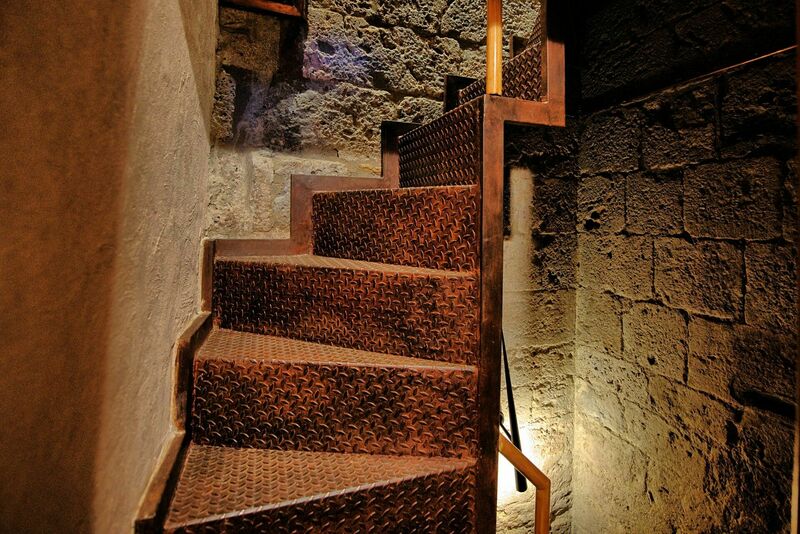 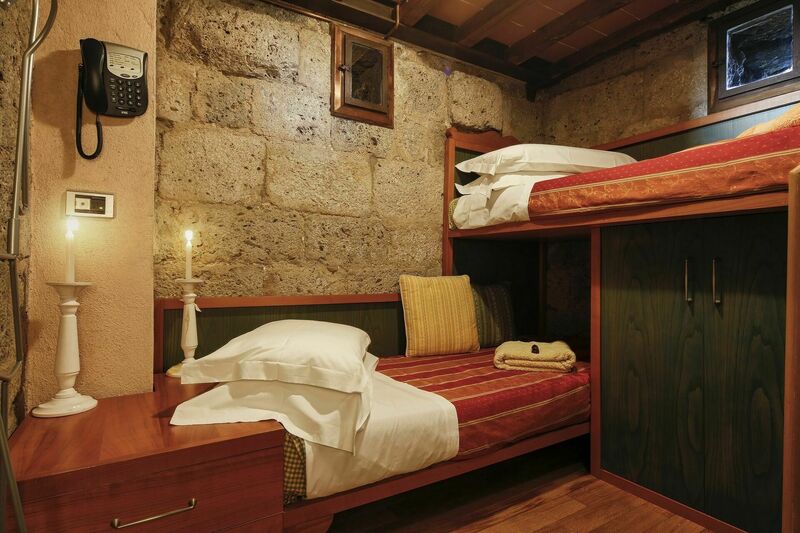 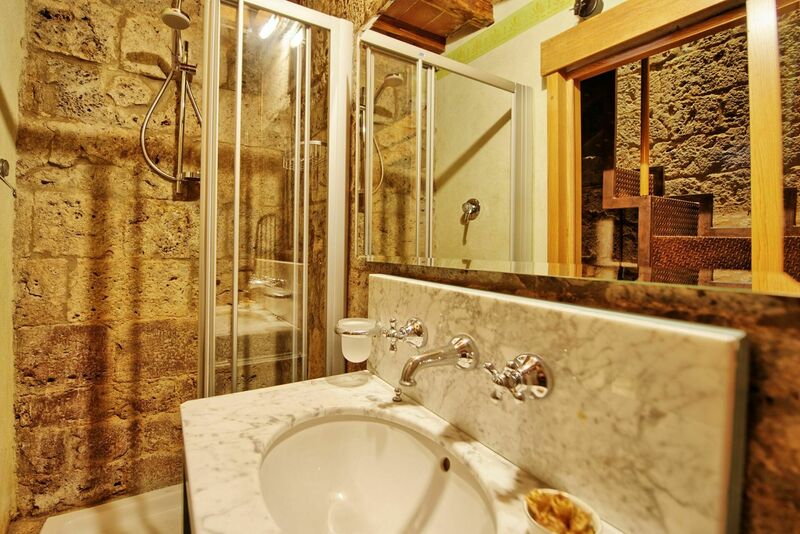 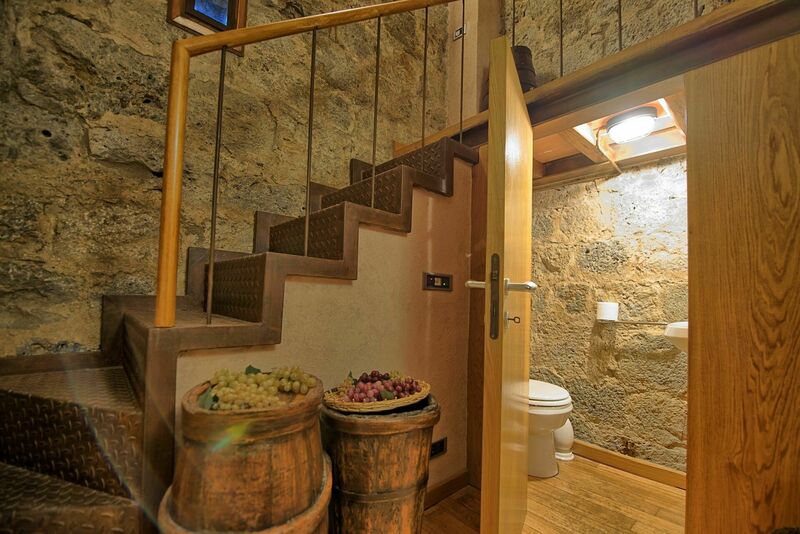 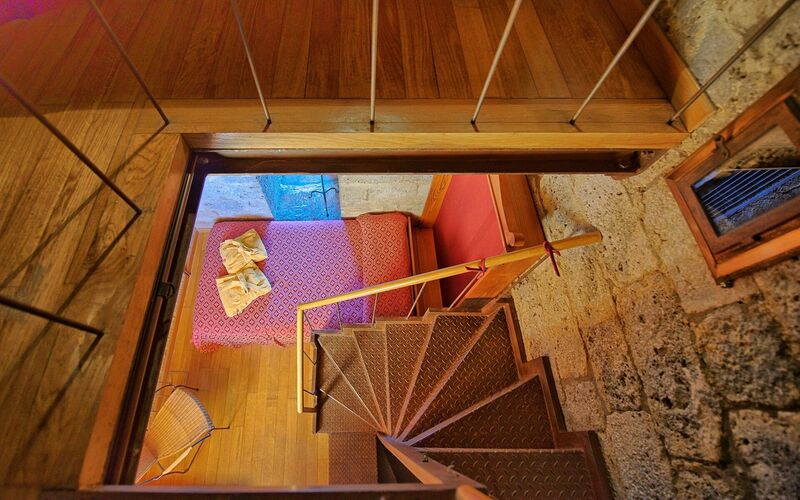 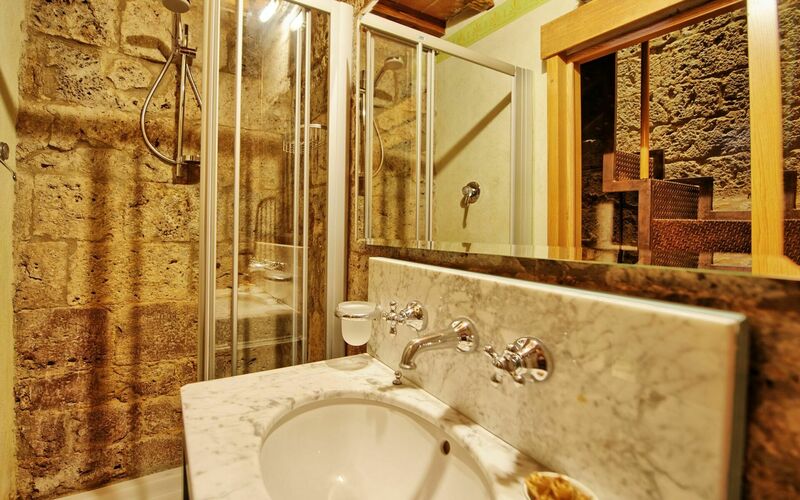 Nice accommodations created from the restoration of an ancient tower (48 meters tall) dating back to the year 1200 and built b the Salvucci family. 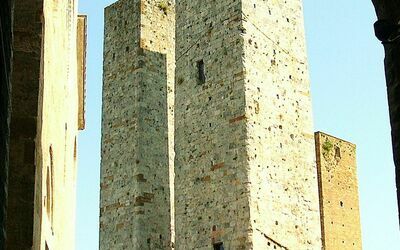 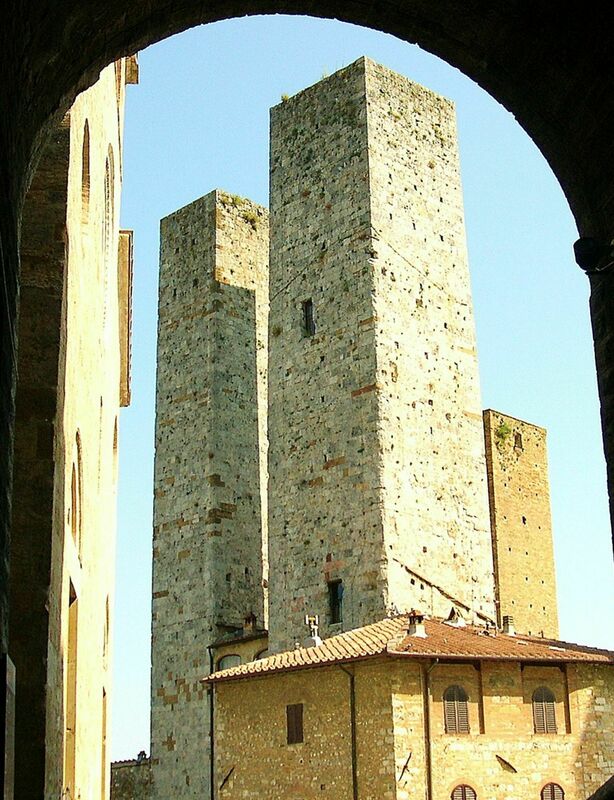 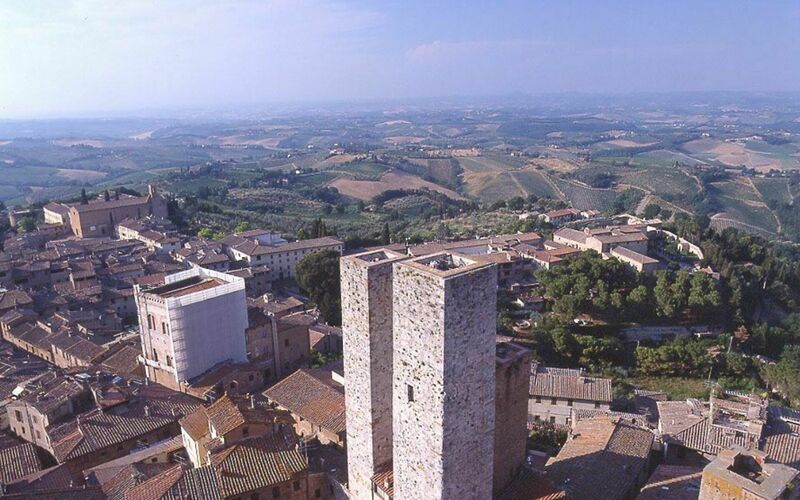 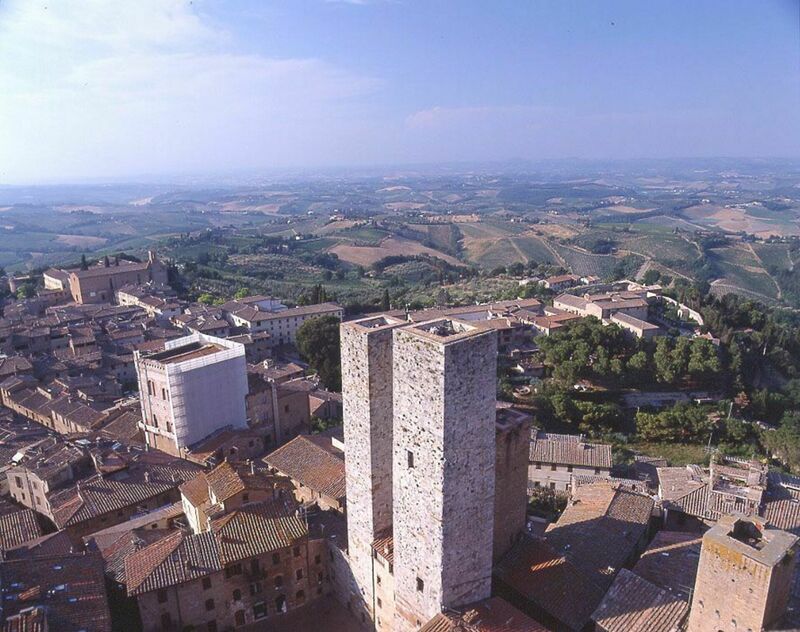 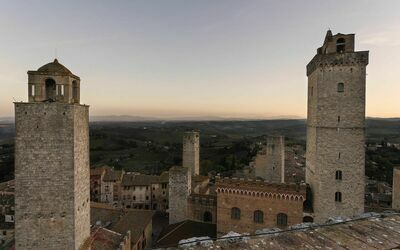 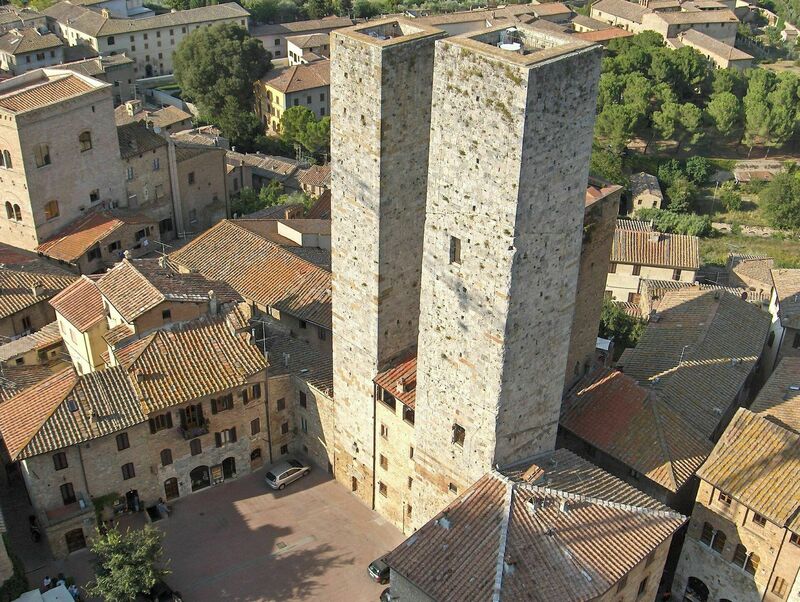 In the town of San Gimignano there are 14 towers and this tower is the only one where you can live in. The 2 units "Tower" and "Studio" are ideal for history lovers seeking for a unique stay in one of the most beautiful towns in Tuscany. The apartment "Tower" spreads over 11 floors and on the top it has an amazing panoramic terrace offering 360° views over San Gimignanon and the surrounding landscape. 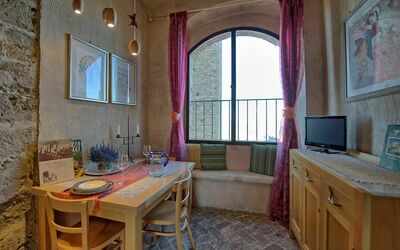 While apartment "Studio", accommodating 2 people, is on the first floor of a building adjoining the tower. 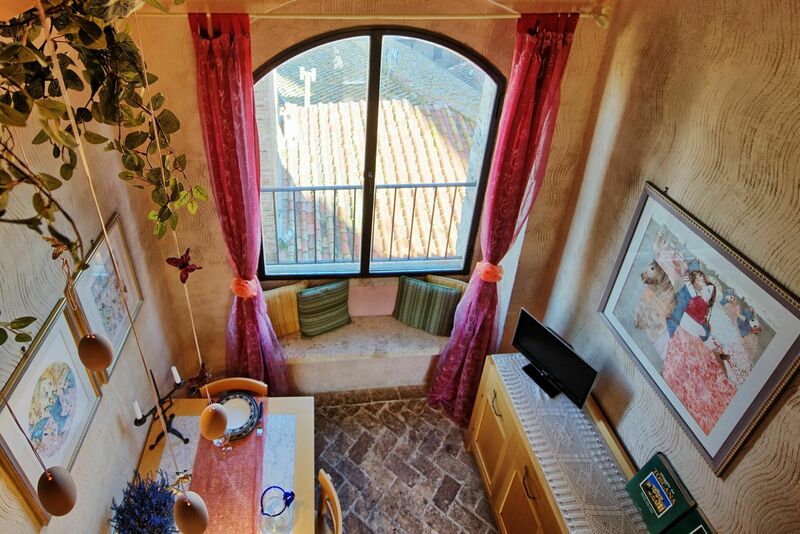 The living-room and bedrooms windows overlook the Dome square. 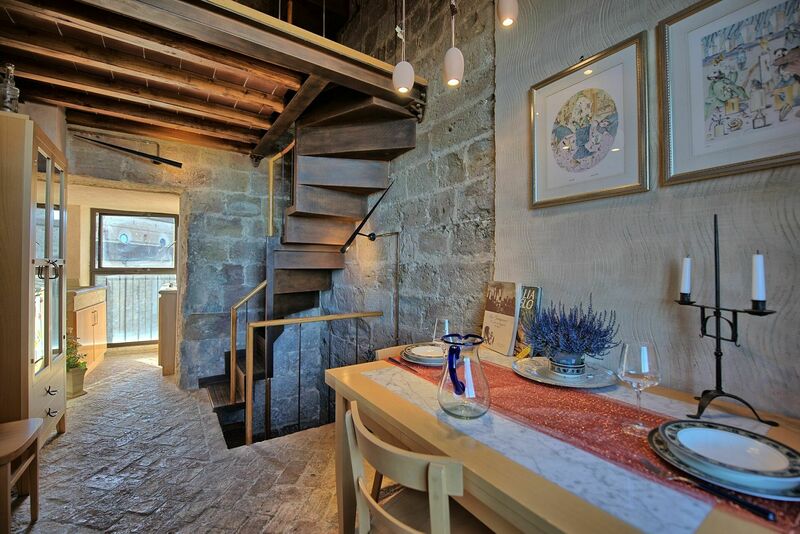 These 2 accommodations can be rented together (their entrances are nextdoor) or separately. These houses are not recommend to children. 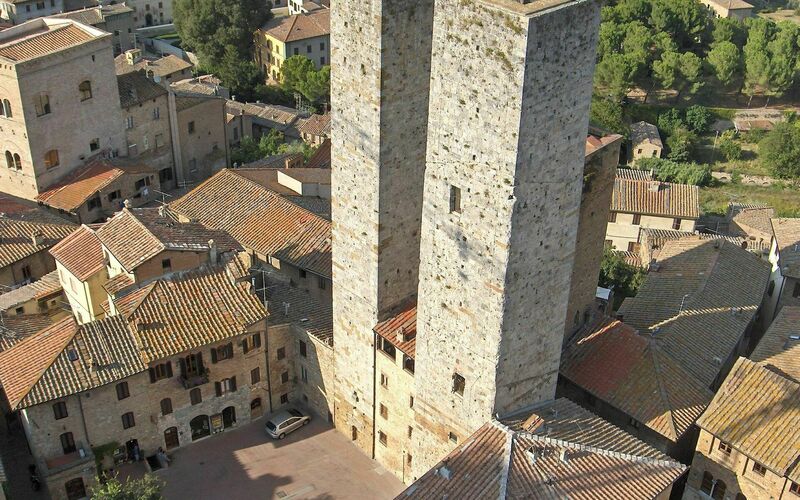 San Gimignano city center is closed to traffic. 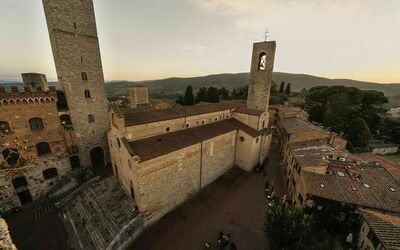 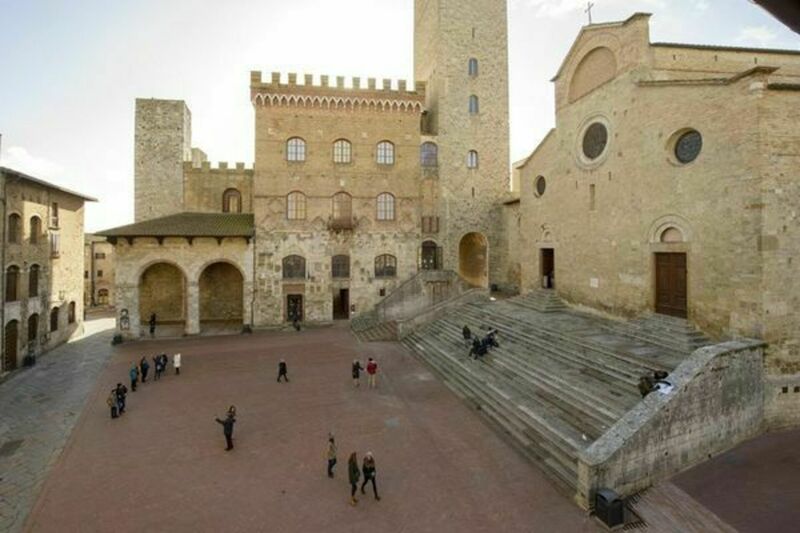 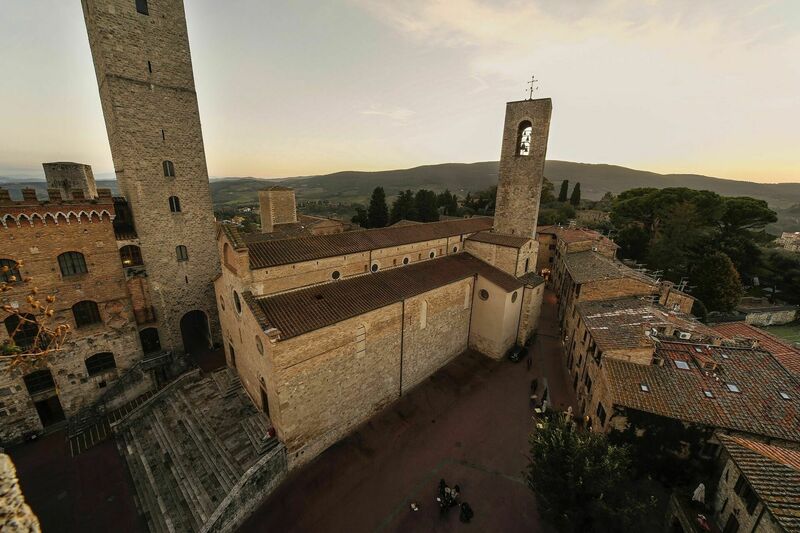 Distances: the main square in San Gimignano with the Dome, the "Palazzo comunale" and "Piazza della Cisterna" are only a few steps away, Poggibonsi approx. 10 km, Certaldo 13 km, Siena approx. 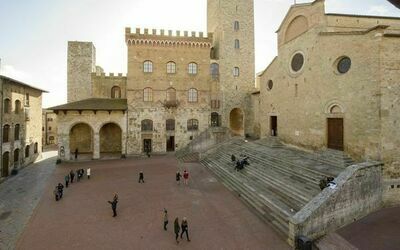 45 km, Volterra 28 km, Florence 55 km, Cecina (beaches) 75 km, Pisa 80 km, Lucca 85 km, Montalcino (home of the famous Brunello wine) 80 km, Pienza 105 km, Arezzo 118 km. 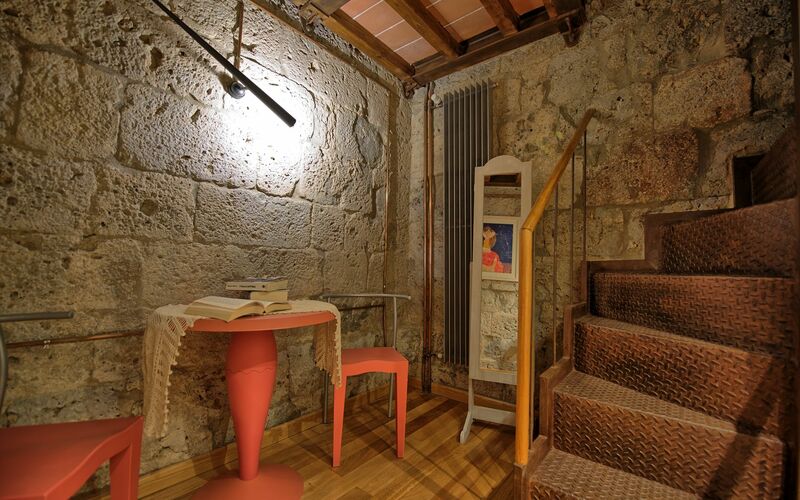 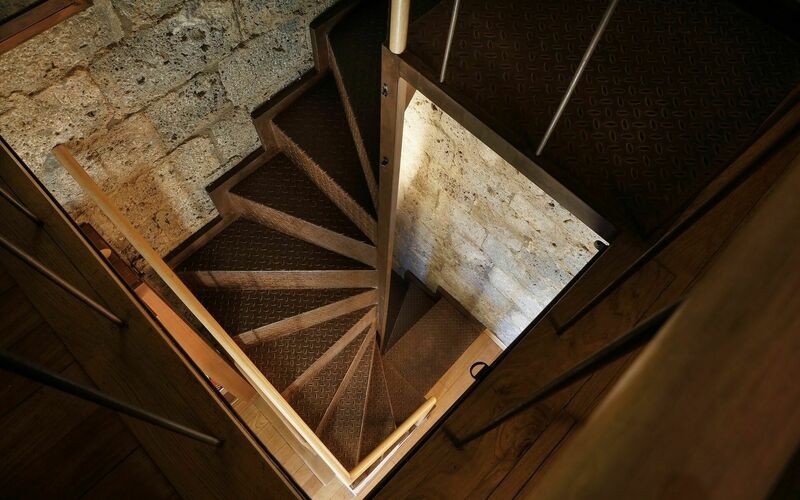 This beautiful tower was completely restored and turned into a unique, welcoming accommodation full of charm. 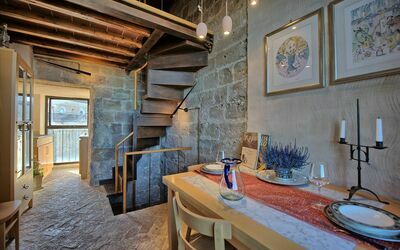 The interiors offer a pleasant combination of modern furnishing and ancient materials. The tower spreads over 10 floors and 160 steps and on the top of it there is a unique, panoramic terrace. 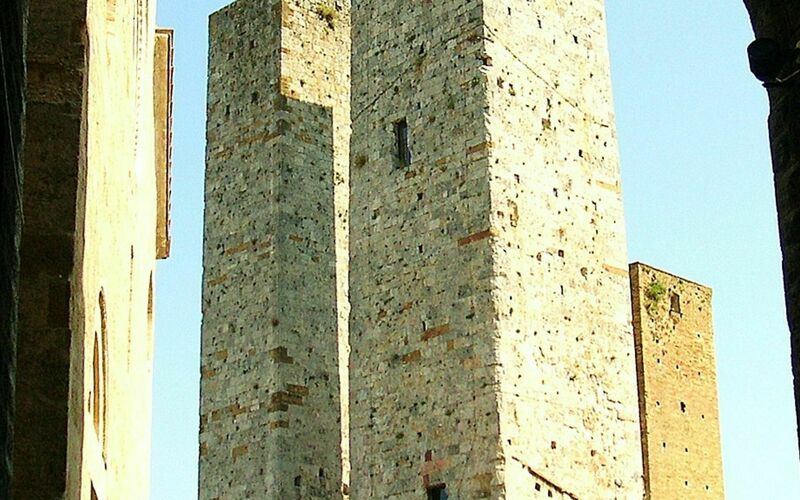 The tower floors are approx. 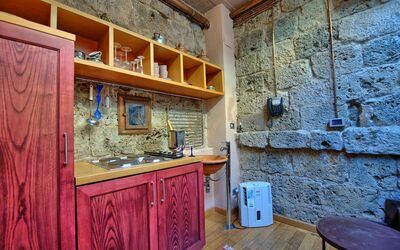 10 square meters each max. and the walls are 2 meters thick. 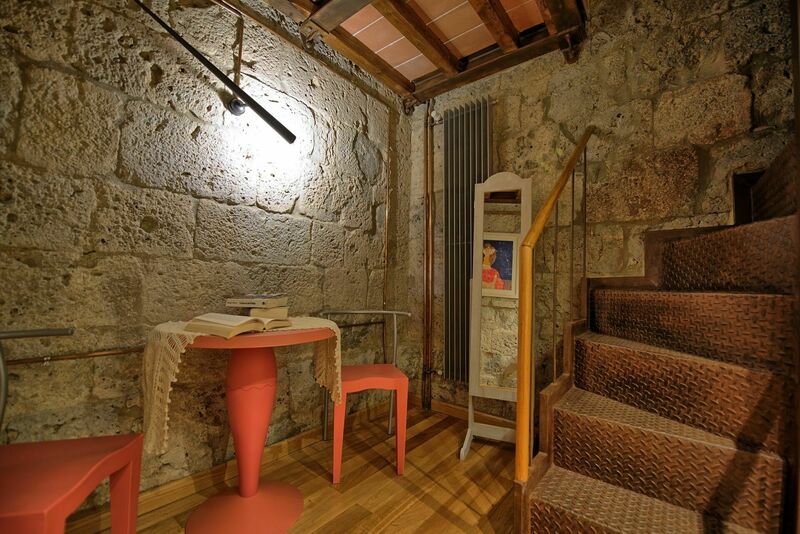 The tower is a historical building and the furnishing has been adapted to the space available. 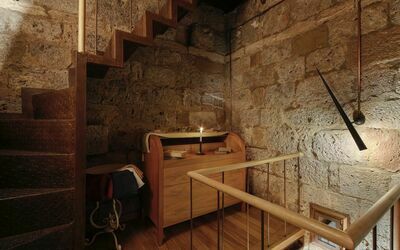 This structure is recommended to history lovers and people looking for a unique and unusual stay. 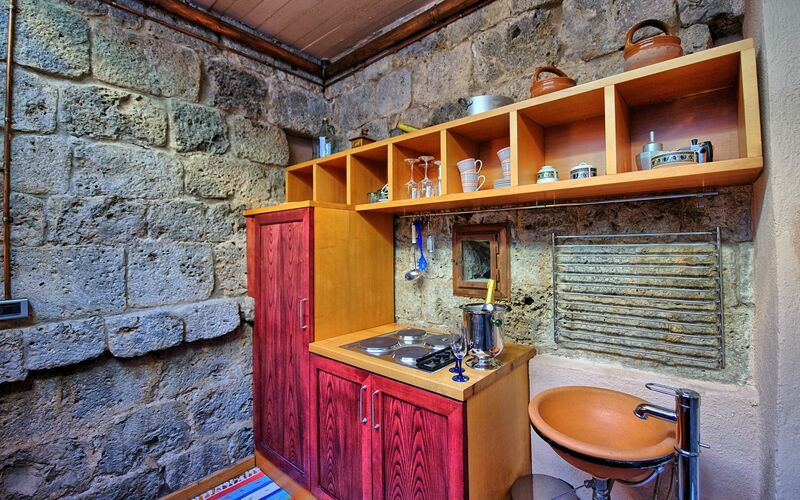 3rd floor: dining-room with kitchen corner (fridge, freezer). 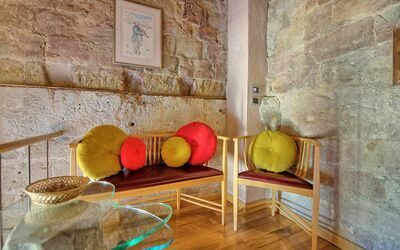 Mezzanine ground floor: reading corner looking over the dining area. 4th floor: small bathroom with shower. 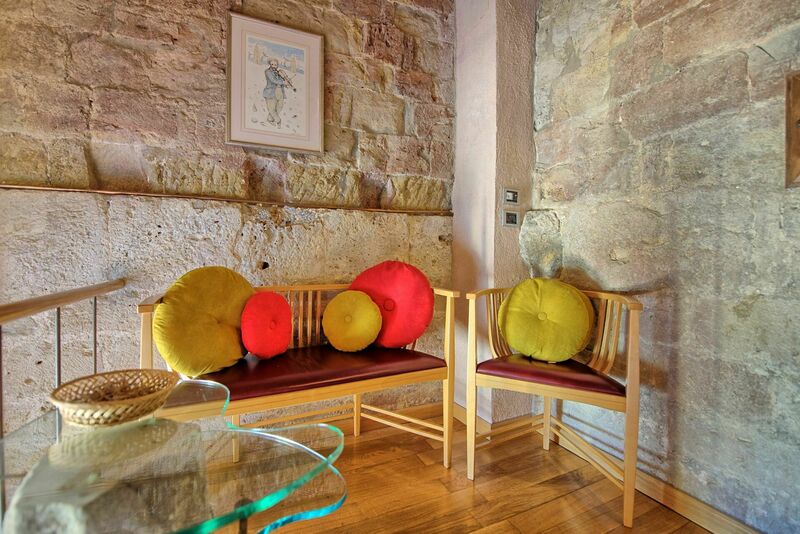 5th floor: passage-way room with a table and chairs. 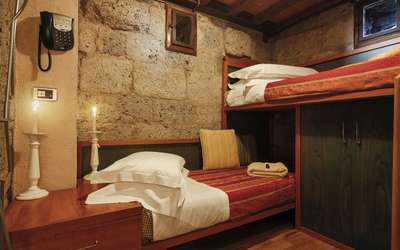 6th floor: bedroom with 2 adjoining single beds (80 x 190 cm). 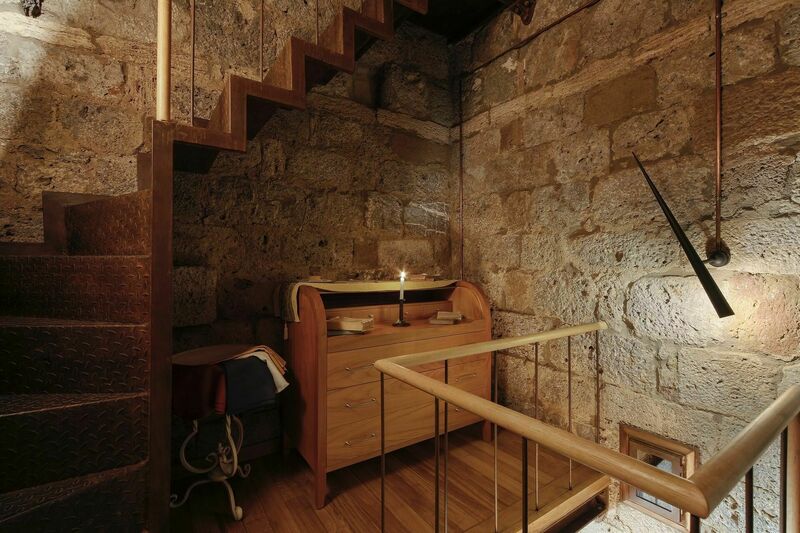 7th floor: bedroom with French bed (115 x 190 cm). 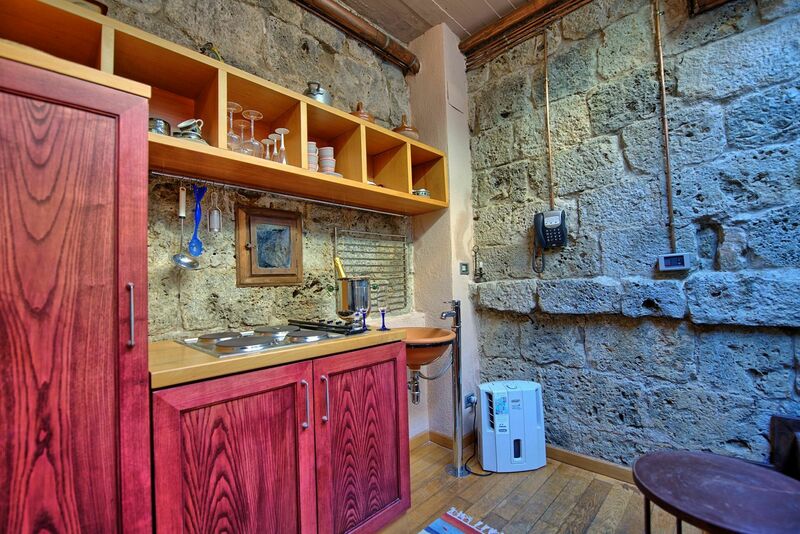 10th floor: kitchen (fridge, freezer). 11th floor: panoramic, furnished terrace (14 m2) offering amazing views over the town and the surrounding landscape.